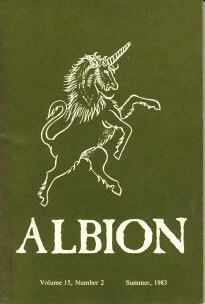 This article is contained in Volume 15, Number 2, Summer 1983 edition of Albion, a publication of the Department of History, Appalachian State University. This article of twenty pages explores, in some depth, the interaction between Muggletonianism and Quakerism in the seventeenth century. In some ways this was actually a three way argument as both parties also insisted that the other descended from Ranterism. This work highlights some of the fault lines between Muggletonianism and Quakerism but is slightly disappointing in that it postulates a Quaker victory solely on the basis of the number of adherents. In order to fully understand Muggletonianism you have also got to understand Quakerism, and this article is a great place to start.